A well-known German writer once said: a master shows himself when faced with limitation. This is a quote we can identify with. You can only become really good at something by making choices. When you do something often and intensively, working day in and day out with the shipping market. That is why Friday & Co limits itself to a few segments of the market when buying and selling vessels. Our focus is on small and medium-sized seagoing vessels with a tonnage of up to 40,000 DWT. This includes new and used ships for dry cargo, MPP and heavy lifting, as well as tankers. The added value of Friday & Co is not only our years of experience in ship broking. We also draw on our experience at sea. Several of our brokers have enjoyed maritime training and spent years on various ships, in managerial positions. This means that we can quickly and efficiently assess the condition and usability of all kinds of vessels. Both literally and figuratively! At Friday & Co we speak Dutch, English, German, Italian, Spanish, Russian and Latvian. But we also master the jargon and understand the impact of maritime legislation, international law, and compliance and safety legislation. Moreover, we adapt easily to all parties involved in the purchase or sale: ship owners, lawyers, classification societies, banks, notaries and governments. We navigate smoothly in the international playing field, with its wide variety of cultures and interests. At Friday & Co we have complete confidence in our expertise and judgment. We rely on our experience dating back to 1994. That is why we choose to work on a ‘no cure, no pay’ basis. After all, it’s not our efforts that count, but the results that we achieve for you. Friday & Co was born of the joint-venture between Dutch ARAS Shipbrokers and Smilgas Shipping from Latvia. Of these two companies, ARAS Shipbrokers has the longest history. As the name suggests, this Dutch pillar operates in the Amsterdam-Rotterdam-Antwerp region. 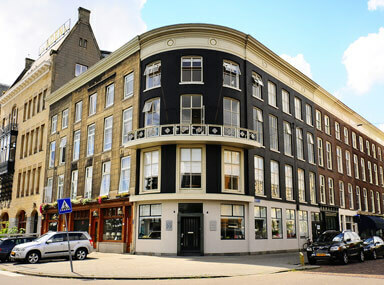 Our Dutch office is located in Rotterdam. When it was founded in 1994, the company was called Amels Shipbrokers. In 2005, the name changed to ARAS Shipbrokers. Since then, we have concentrated on mediation in the purchase and sale of small and medium-sized seagoing vessels up to 40,000 DWT, both new and used. Over the years, we have built up an extensive network and solid track record. That is how the contact came about with Smilgas Shipping, with its office in Riga. Both offices work independently. While both companies share the same ethics and way of working, we are not bound to each other. If cooperation with another third party will yield a better result for the client, then we will pursue that route. The collaboration of these two companies is based on a shared vision of the market and the service we provide. We prefer to build long-term relationships, rather than to go for quick wins. So, we have deliberately opted for a niche in the vast global market. As we see it, it is better to excel in one area, than to be mediocre in a wide range of activities. Also, we are committed to in-depth and personal contact with our clients, from the first meeting up to sealing the deal for the purchase or sale and the final delivery of the vessel. Plus: you are always welcome to contact us for advice and mediation. Besides our office in Rotterdam, we are also located in Riga. You can find more information about our Riga office on their website.